The Fellowship was fortunate enough to obtain a copy of SPELL ON WHEELS #1 from Dark Horse Comics. The story is by Kate Leth, with art by Megan Levens, and colors by Marissa Louise. Jolene, Clarie, and Andy are witches who live together. While at an event out of town, their house is broken into and several magic items were stolen. They all detect the intrusion and rush home to stop the thief, but he was already gone. The next morning they find all of their items listed on a website the auctions magic goods. So the girls ready themselves for a road trip to get their stuff back. But it won’t be an easy trip. The question remains, who was responsible for this and what was the ultimate goal? Kate Leth delivers a fast paced script but doesn’t sacrifice setting up the characters and relationships. I really enjoyed Megan Levens art; love the look and vibe of the characters. All in all a great start to what could be a great series. I want to see more. Go check it out. 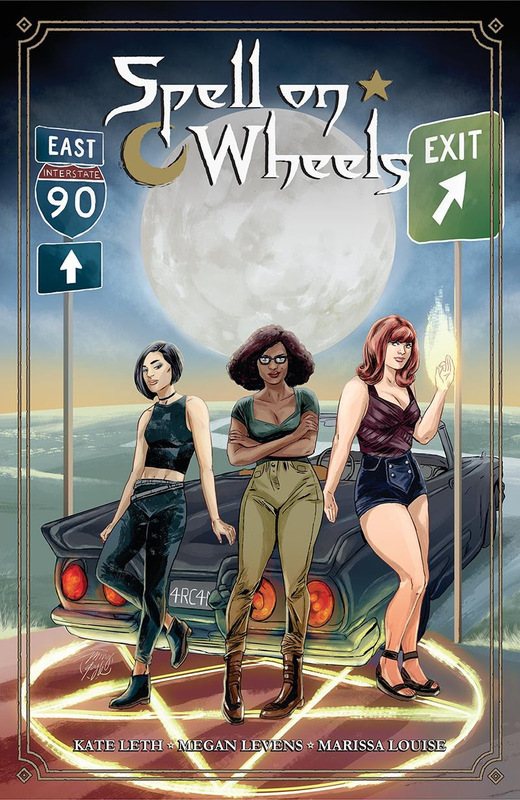 SPELL ON WHEELS #1 is in stores now or available at www.darkhorse.com.